I am an Assistant Professor in the Department of Medical History and Bioethics at the University of Wisconsin–Madison. My other affiliations are with the Holtz Center for Science and Technology Studies and the History department. Previously I was a postdoctoral research fellow in Social Studies of Medicine at McGill University. My research examines scientists’ assumptions about the natural world and how these assumptions shape scientific practice. 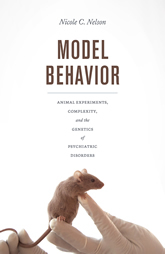 In my book, Model Behavior, I explore how animal behavior geneticists’ beliefs about the complexity of gene action and of psychiatric disorders are reflected in their research with mouse models. For this work I won a First Book Award from the UW–Madison Center for the Humanities. My next project will focus on the “reproducibility crisis,” a recent phenomenon where scientists have discovered that many established findings are difficult or impossible to replicate on subsequent investigation. I am interested in what assumptions scientists make about variation, and how these assumptions about the nature and magnitude of variation inform reproducibility efforts—researchers may be unsurprised to find, for example, that results vary between sexes, but much more concerned by variation between laboratories. I’ll be working on this new project as a fellow in residence at the Radcliffe Institute during the 2018-2019 academic year. I also do research on new technologies in oncology research and clinical practice. As an embedded ethnographer in a trial investigating resistance to chemotherapy, I observed researchers as they introduced genomic technologies into existing clinical research routines. Work from this project, conducted in collaboration with Alberto Cambrosio and Peter Keating, has been published in Social Science & Medicine and New Genetics and Society. Currently I am conducting research with Pilar Ossorio on machine learning algorithms in oncology, where algorithms are now routinely used to estimate a patient’s risk of reoccurrence of their cancer. At UW–Madison, I direct the Health and the Humanities undergraduate certificate program, and teach courses in science and technology studies, biology and society, and history of science. I have won numerous awards for my undergraduate teaching. 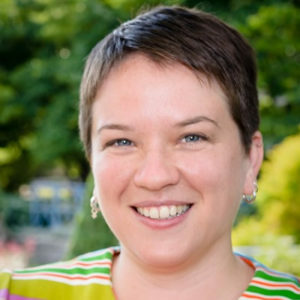 I am a Collaborating Editor for the journal Social Studies of Science, where I manage the review process and make decisions on a subset of manuscripts submitted to the journal. I’m also on the editorial board for the journal New Genetics and Society, the Journal of the History of Biology, and was the reviews editor at Social Studies of Science. Nicole C. Nelson. Model Behavior: Animal Experiments, Complexity, and the Genetics of Psychiatric Disorders. University of Chicago Press, 2018. Nicole C. Nelson and Kaitlin Stack Whitney. 2018. “Becoming a research rodent.” Living with Animals: Bonds Across Species, eds. Natalie Porter and Ilana Gershon. Ithaca, NY: Cornell University Press. Nicole C. Nelson and Aaron Panofksy. 2018. “Behavior Genetics: Boundary Crossings and Epistemic Cultures.” In Handbook of Genomics, Health, and Society, edited by Sahra Gibbon, Barbara Prainsack, Stephen Hilgartner and Janelle Lamoreaux. New York: Routledge. Alberto Cambrosio, Etienne Vignola-Gagné, Nicole C. Nelson, Peter Keating, and Pascale Bourret. 2018. “Genomic platforms and clinical research.” In Handbook of Genomics, Health, and Society, edited by Sahra Gibbon, Barbara Prainsack, Stephen Hilgartner and Janelle Lamoreaux. New York: Routledge. “Model Homes for Model Organisms: Intersections of Animal Welfare and Behavioral Neuroscience around the Environment of the Laboratory Mouse.” BioSocieties 11:1 (2016), 46–66. “A Knockout Experiment: Disciplinary Divides and Experimental Skill in Animal Behavior Genetics,” Medical History 59:3 (2015), 465–485. Nelson, Nicole C., Peter Keating, Alberto Cambrosio, Adriana Aguilar-Mahecha, and Mark Basik, “Testing Devices or Experimental Systems? Cancer Clinical Trials Take the Genomic Turn,” Social Science and Medicine 111 (2014), 74-83. “Modeling Mouse, Human, and Discipline: Epistemic Scaffolds in Animal Behavior Genetics,” Social Studies of Science 43:1 (2013), 3-29. Nelson, Nicole C., Peter Keating, and Alberto Cambrosio, “On being ‘Actionable’: Clinical Sequencing and the Emerging Contours of Genomic Medicine in Oncology,” New Genetics and Society 32:4 (2013), 405-428. “Shooting Genes, Distributing Credit: Narrating the Development of the Biolistic Gene Gun,” Science as Culture 21:2 (2012), 205-232.